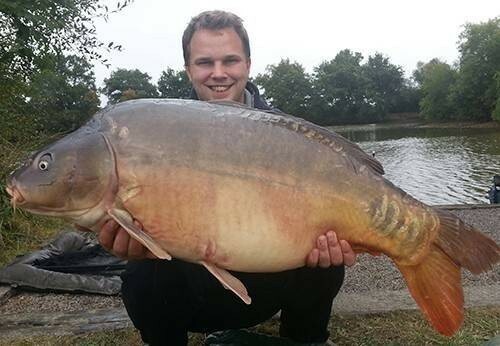 This is the catch report for last week on Alberts Lake. Michel Dokter was with us for the week, he started off on Busters Lake for a night. He then moved down to Alberts Lake to be on his own with his wife. As there was nobody else there.He caught 70 carp during a week of mixed weather in which he broke the record on Alberts Lake landing a 50lb mirror, 47lb mirror, 42lb mirror, 41lb mirror and also there were a lot of thirtys added to the list. 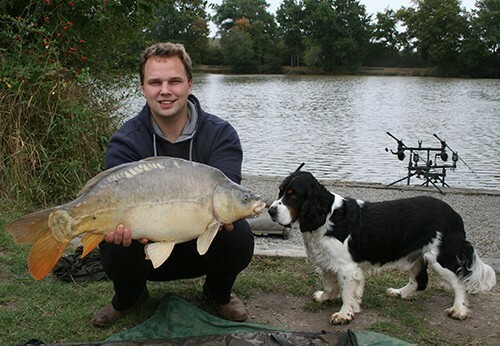 The bait that did the damage was monster crab tipped with a squid pop up from cg baits fished over a bed of our pellet. Lac de Viennay is a lovely estate with 2 exciting carp lakes with plenty of action, nice surroundings and excellent facilities. 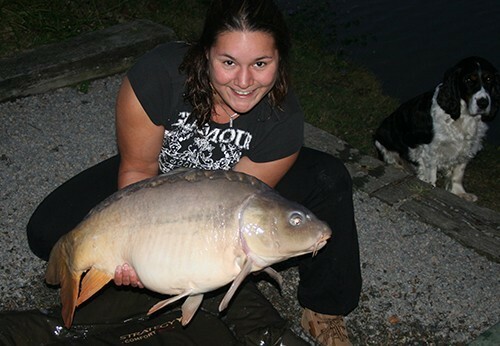 Our guests love Alberts Lake and Busters Lake for its tranquil surroundings and plenty of fish action... a real French carp fishing pearl!